Imported from China from GHP Group Inc. 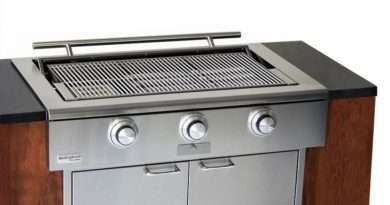 There isn't much to say about this gas grill from the standpoint of its design of configuration. 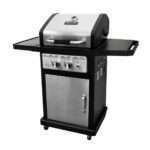 It is a small, 2-burner gas grill with no features. There is no side burner, rotisserie system, or anything else other than a 350 square inch 30,000 BTU grilling box. Of course, that is the point. 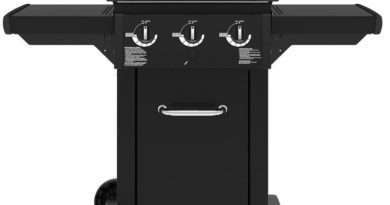 This gas grill is designed for the person who doesn't cook for many people and either doesn't want or can't have a large grill. And at that, it is a competent grill. If you want to cook some burgers, a few chicken breasts or steaks, this grill will do that. It will do that competently, but not fantastically. That is really what this grill is all about. 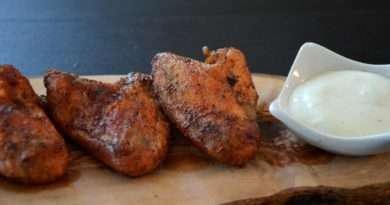 It is good, but not great. It gets hot, but not as hot as you might like. It is built well, but not perfectly. 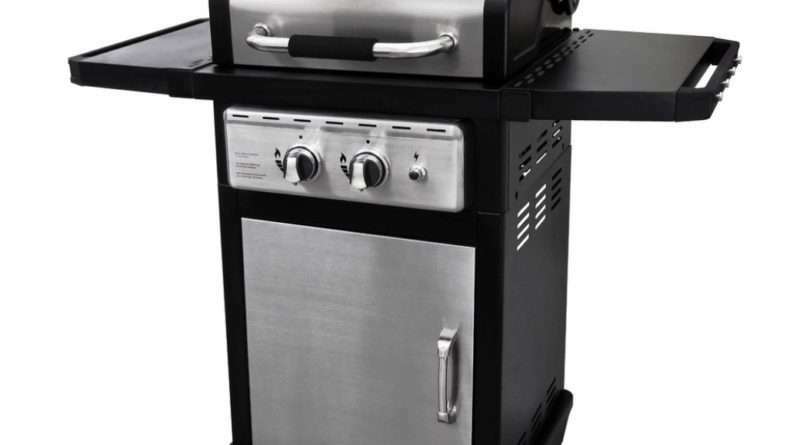 At around $300USD, this isn't one of those cheap 2-burner grills that litter the front of big box stores, but it isn't an expensive little grill that can be found in a specialty retail store. It also doesn't stand out as being beautifully designed. It is a competent little grill for competent grilling. If that is all you ask, then this is a grill you might want to consider.